We Are All We Need is the fourth studio album by British trance group Above & Beyond. It was released on 16 January 2015 by Anjunabeats. The album is their first studio album to feature new material since Group Therapy (2011). 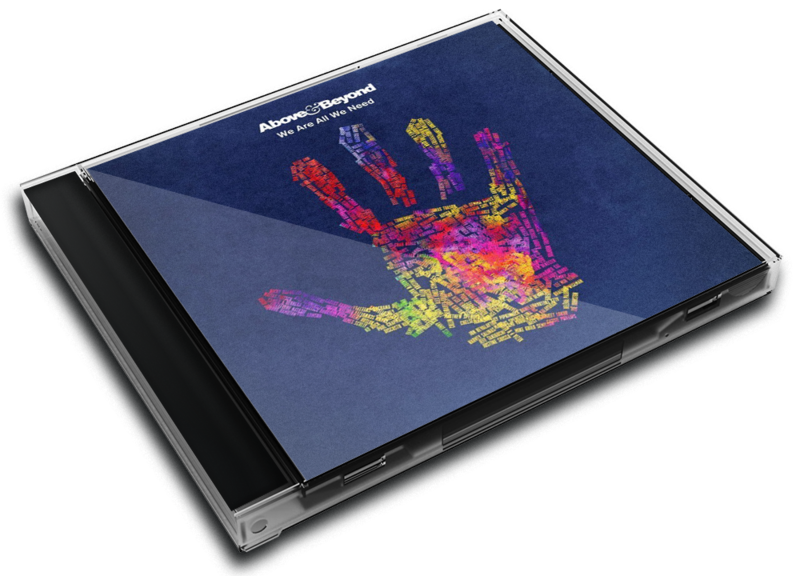 It is the first album released under the name Above & Beyond not to feature collaborations with British singer-songwriter Richard Bedford. As an Above & Beyond fan, this is a moment 3.5 years in the making. Since first hearing Group Therapy in 2011, I fell in love with Tony, Paavo, and Jono as millions of others have around the world. I’ve been there for the small moments – every Friday afternoon for Group Therapy Radio – and big ones too – ABGT 100 at Madison Square Garden. Now once more I had the chance to experience another chapter in Above & Beyond’s saga: the release of We Are All We Need, the London trio’s latest album. It’s hard to not make comparisons between these two bodies of work; not only has Group Therapy already become a classic, but a lot can change about a group in three years’ time. However, there is one major difference that cannot be ignored: the overall tone of the album. We Are All We Need is much more uplifting than its predecessor, which was more or less a 15-track lamentation with small glimmers of hope peaking through the darkness. This time around, We Are All We Need is a celebration of love, life, and self-discovery; a few bits of despair hiding in the shadows of the sun. Many of the songs have already been released as singles or played throughout ABGT, including “Quiet is Louder,” “We Are All We Need,” and “Blue Sky Action,” the album’s opening three tracks. Anjuna sweetheart Zoe Johnston returns, as well as male vocalist Alex Vargas, who made his debut for last year’s Acoustic album. The music video and song premiere for the titular track happened just days before Above & Beyond played ABGT 100 at the sold out Madison Square Garden in New York, the first British DJs to do so. If there is a quintessential trance track on this album, it is “Blue Sky Action.” Alex continues to prove to be a wonderful addition to the team, as his vocal range is brilliantly flexed. This track already has an accompanying music video as well as remixes from Grum, Meramek, and others. It’s important to note that not only are the productions on point, but the buzz behind We Are All We Need has been worthy of praise too. The music videos released so far have all been miniature versions of popular movies. “Blue Sky Action” replicates the modern Disney Classic Wall-E.
Another noteworthy quality behind Above & Beyond’s productions is the fact that every track is easy to learn. I’m surprised at how I found myself singing along to end of each track after only hearing some of them for the first time like “Peace of Mind.” It’s probably why “Sun & Moon” and “Thing Called Love” are still in heavy rotation during their sets. Part of the experience when attending their shows lies in the sense of togetherness as a crowd of thousands sing their favorite songs in unison. It pleases me that Above & Beyond has continued this tradition with all the songs on their new album. Fans might recognize Gemma Hayes from her phenomenal cover of Chris Isaak’s “Wicked Game,” which was featured on Anjunabeats: Volume 11 as a remix by Betoko. The Irish singer/songwriter provides a great contrast to Zoe; a mid range, slightly raspier voice on “Counting Down the Days.” Also providing diversity is “Sticky Fingers,” because it wouldn’t be an Above & Beyond album without a little bit of heartbreak, right? Still, you can’t help but dance along and smile, even though the lyrics are about a person who can’t stop thinking about their lost love. The album version comes with a few variations to the one released on Anjunabeats: Volume 11. The thing I’ve enjoyed most about Alex Vargas so far is that he fools you into thinking you can sing with the same amount of flawless effort, but it never quite comes out as easy as he makes it sound. In “All Over the World,” he executes a different kind of strength in his voice: a quiet, unwavering lilt in the final chorus of the song. I was overjoyed to see that he recorded a studio version of “Making Plans” instead of Tony who had debuted the track for Acoustic. Though I’m partial to Mr. McGuinness, as he rarely sings, it’s hard to deny how well Alex’s voice carries on the record. However, Tony does provide vocals for “Excuses,” a fair trade as he confidently hits every note in the song’s powerful chorus. I’m still not sure if it was the closing a capellas on “Treasure,” or the fact that the sun was beginning to set, creating this incredible golden light in my room; but after the final track of the album ended I didn’t really know what to say or do. My vote is for Zoe Johnston, who continues to produce nothing but quality vocals time and time again. It’s inspiring the way her dissonant harmonies resonated so long after the song faded out. To say We Are All We Need exceeded expectations would be an understatement. To say that the album was well worth the wait would also not do it justice. There’s really no simple phrase that can sum up the affect of the album. Once more, Above & Beyond and their team provide music lovers with a complete package: an aural, visual, and spiritual journey to set the bar high for other releases in 2015. We Are All We Need officially comes out Monday, January 19, but you can pre-order or stream the album on iTunes now.